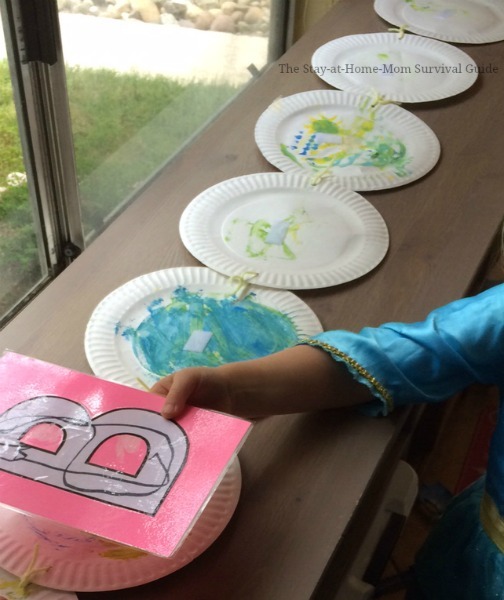 Using paper plates for fun learning activities is always handy with preschool aged children. 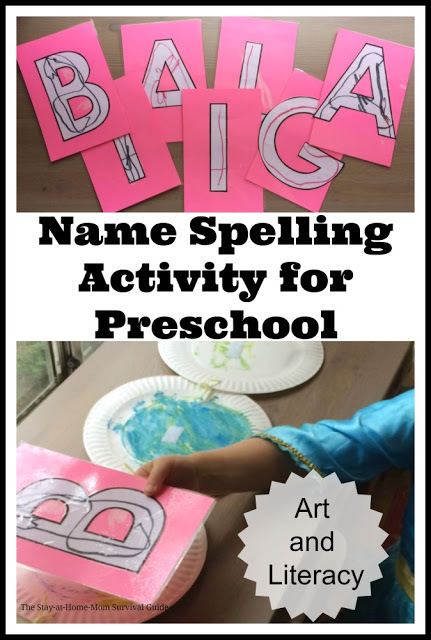 This activity combines art, letter identification and one-to-one correspondence to make learning to spell their name fun for preschoolers. I have a preschool child who is not really interested in sitting with a worksheet and tracing her name. In fact, I have had to get creative to get her interested in learning. She really enjoys this learning activity for spelling her name. 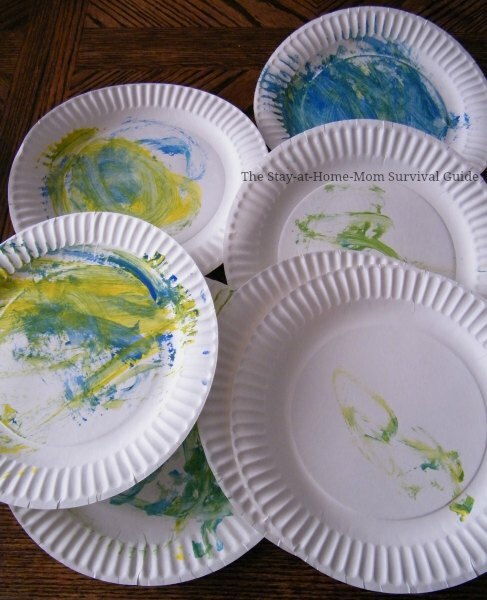 Have your child paint the paper plates. They can use the same color, different colors on each, or mix them all together. While the plates dry, you can print out the letters. 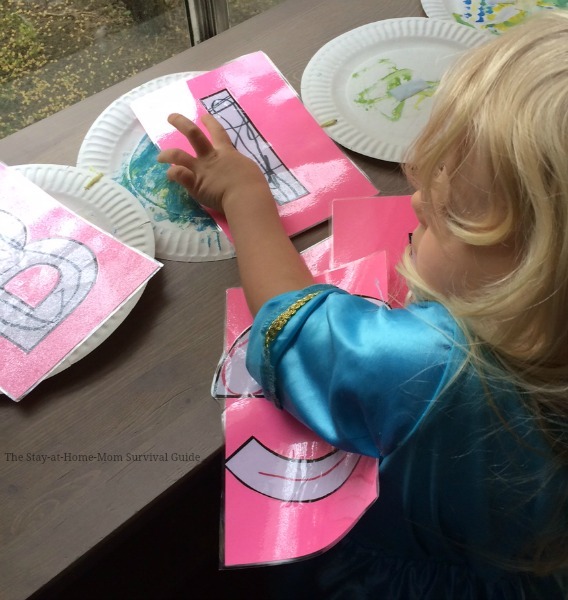 Your child can color, paint or trace the letters. My preschooler wanted to try tracing/writing the letters, so she traced the space in the block letters of her name and I said what each letter was called. 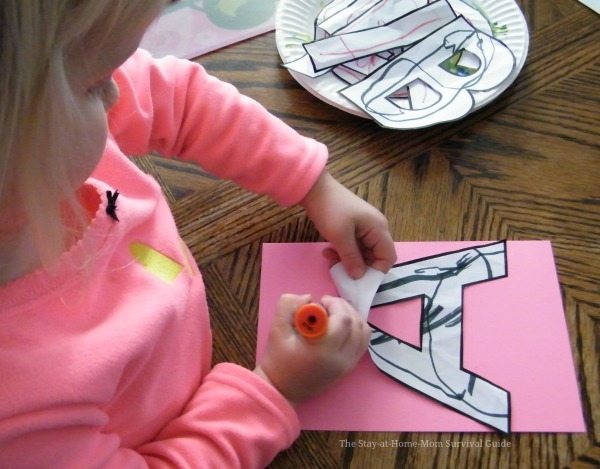 Trim around the letters and glue to a piece of construction paper-this will make the letters sturdy and last longer so this game can be played over and over again.I cut 8×11 cardstock in half so we used less pieces of the paper. I laminated our letters so they would really last a while. This is the laminator I have. 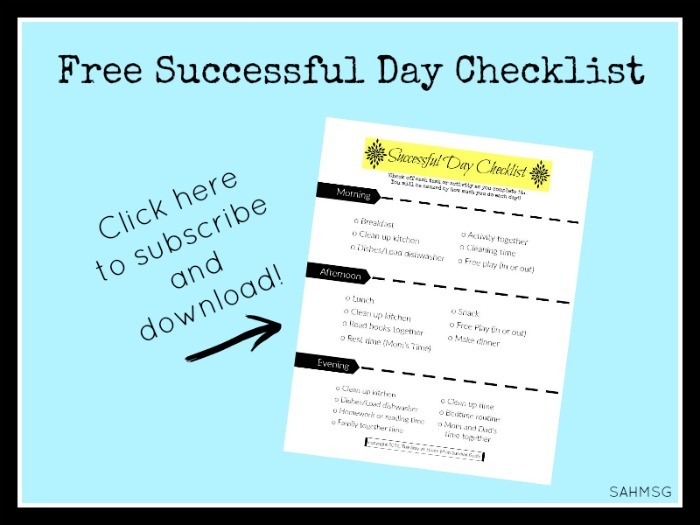 It is so compact and works well for these types of activities. If you do not want to laminate, you can leave the letters as they are, or cover them with clear contact paper. Otherwise, not covering them is fine too! 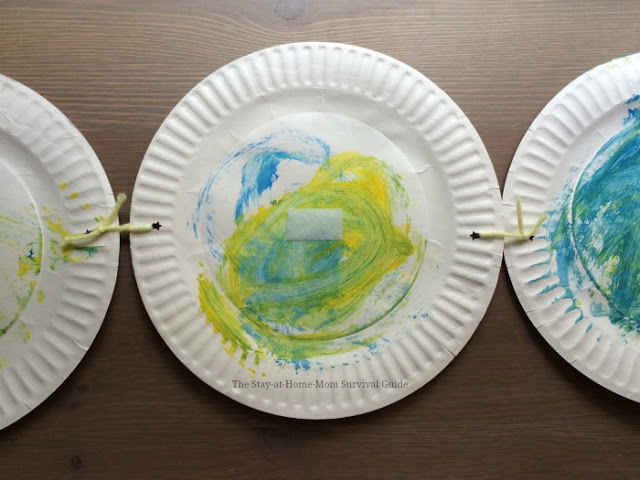 When the plates are dry, punch a hole on each side of the paper plates, and tie the plates together with the ribbon or yarn pieces. You will only need one hole on the first plate and one hole on the last plate. Tying the plates together will help keep this game together and makes it easy to store. Place a small strip of clear packing tape on the center of each plate.Then place a piece of Velcro on top of the tape. 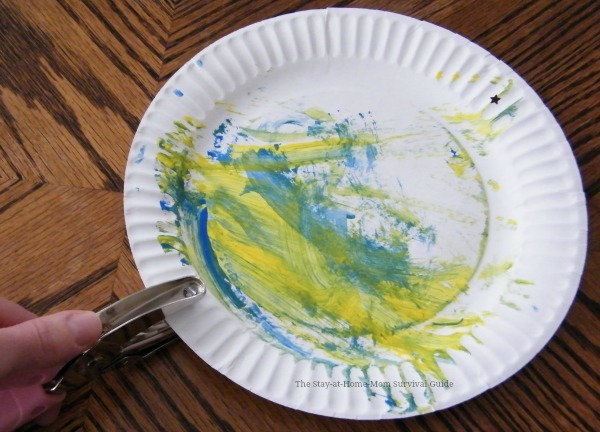 Do this on each paper plate. 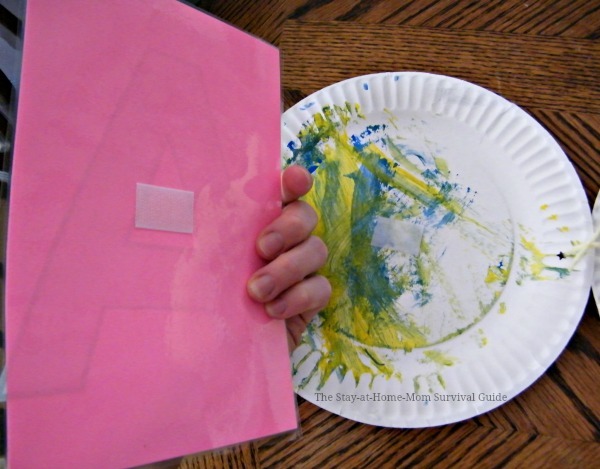 Place a piece of Velcro on the back of each letter as well so that the letters can be stuck to the plates. Step 8-You are ready to play! Explain to your child that they will be learning to spell their name by putting one letter on each plate as you sing the name song. You can find the name song we sing here. …and on the floor another time. You can also tape it up on the wall if you like. 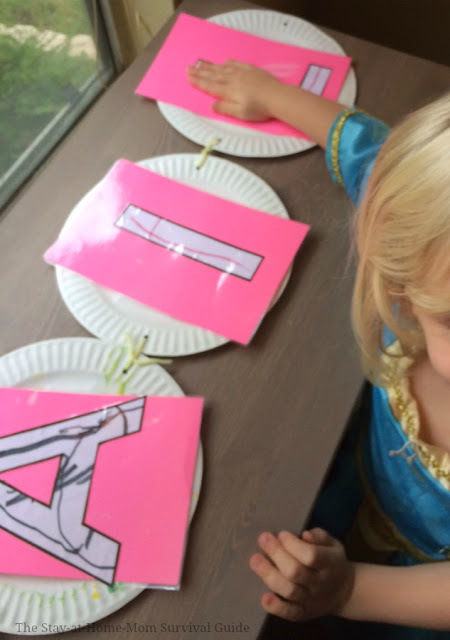 Sing the name song through once.As your child tries to place the letters of their name in the correct order-sticking one letter at a time onto the plates-sing the song slowly to help them learn the letter order. Hopefully they will join you in singing after a couple of times! 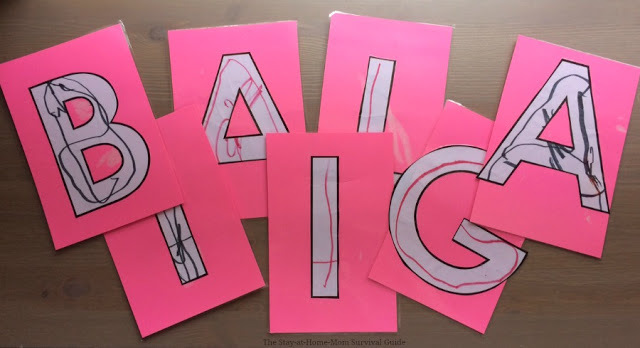 This is a great memory tool for preschoolers, because when they try writing their name, they have a little song they can sing to help them figure out what letter comes next if they get stuck. That is the game! 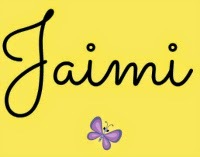 It is a simple but fun project-based activity for preschoolers that helps them learn to spell their name. 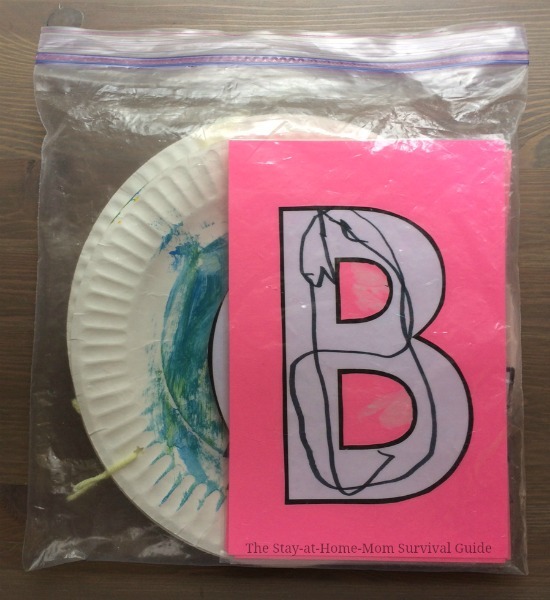 We store our paper plate name game in a gallon-size zip top bag. You can pile the plates on top of one another-leaving them tied together. Then place the stack of plates and the letter cards into the bag together. Next time your child wants to play, the name spelling activity is ready to go! 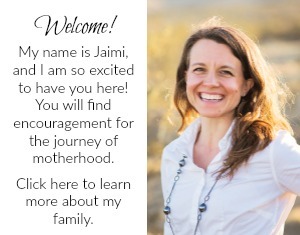 I hope you enjoy it with your preschooler. 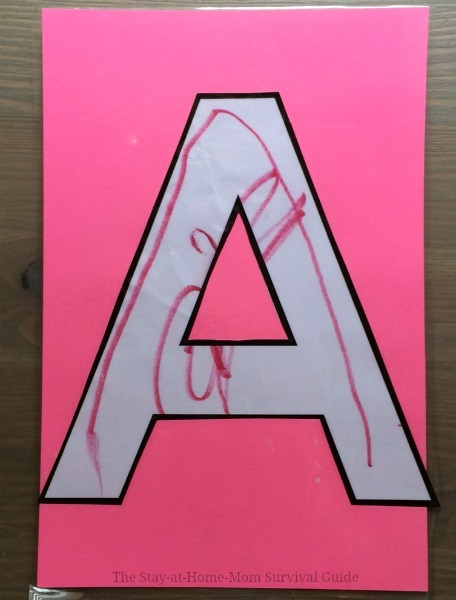 How did your child learn to spell their name? Any songs or tips you can share that we can try with our children? What fun! My 4 year old has her name almost down. She gets an N mixed with an M. I think she would really enjoy this. Thanks! You bet. It is a nice one for teaching the letter order in their name. Cool! I'm definitely going to try this with my three year old. He doesn't know how to spell his name yet. He is at a perfect age to try this out. My 4 year old was tough to get interested in learning activities at 3, and she was willing to do this one. I hope it goes well!